Pantone, the absolute authority on anything color-related, has unveiled their Fashion Color Report for Spring 2015, sharing a list of 10 colors that will be essentials for home and fashion trends in the upcoming season. This palette focuses on the cooler, softer shades in the color spectrum with a few warm tones as accents. The trend seems to be a definitively subdued mix of nature-inspired neutrals and understated pastels. 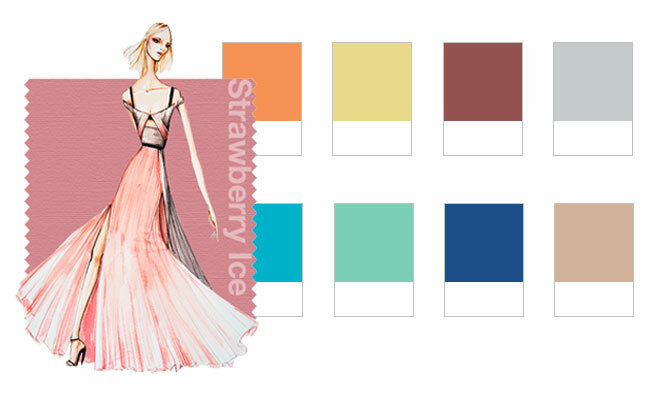 To gear up for the season ahead, turn your attention to the airy and ethereal.Pantone shared a series of images from designers who are using the selected colors for Spring 2015.These are their sketches and concepts. Here’s a look at what you can expect to find in stores. 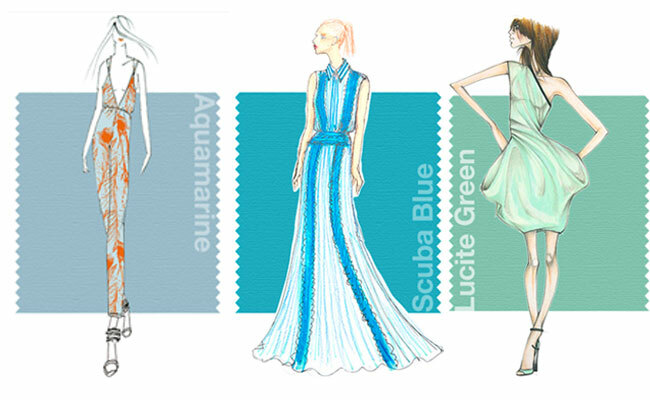 Above, from left to right: Aquamarine by Rachel Pally, Scuba Blue by Tadashi Shoji, Lucite Green by Monique Lhuillier, Classic Blue by Trina Turk, and Toasted Almond by Jay Godfrey. 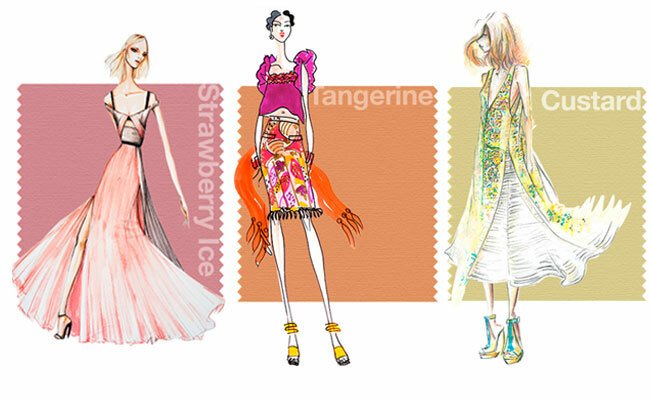 Above, from left to right: Strawberry Ice by Bibhu Mohapatra, Tangerine by Yoana Baraschi, Custard by Nanette Lepore, Marsala by Herve Leger, and Glacier Gray by Dennis Basso. 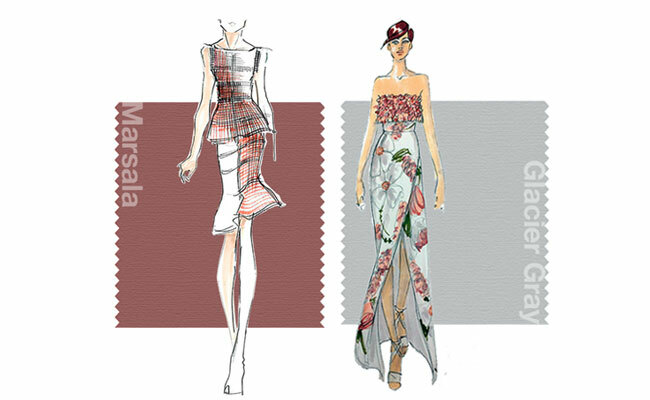 Marsala is also the color of the year for 2015, so read more about how to wear it here. 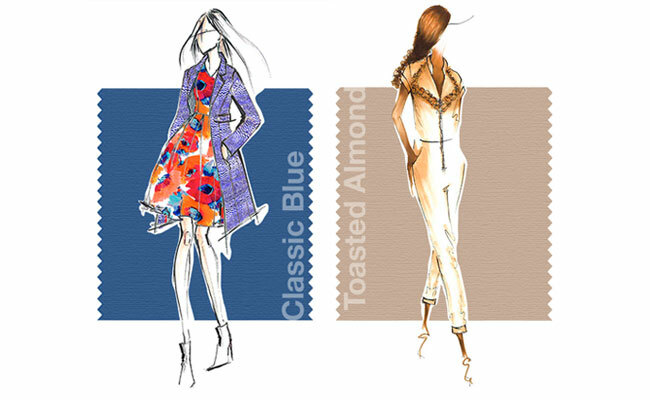 To view the full color report, visit the Pantone website. What do you think of the season’s colors? Are you planning to wear any of these hues? Give me your thoughts in the comments!